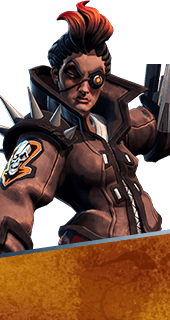 Shield Booster is an Ability of Reyna in Battleborn. Applies an overshield to target ally that blocks up to 315 damage over the next 8 seconds. During the time, Reyna's Plasma Pulse can charge the target's shield. While under the effects of Shield Booster, allies receive a constant, passive shield recharge bonus. +15 Shield Recharge Per Second. When a Shield Booster overshield is applied, it instantly restores a portion of the wearer's health. +350 Health. Increases the amount of damage absorbed by a Shield Booster overshield before it breaks. +113 Overshield. Increases Shield Booster overshield duration. +6 Seconds Duration. A portion of the damage absorbed by a Shield Booster overshield is reflected back at the attacker. +15% Damage Reflection.